1 passes the ball to 2. 3 comes high for the backscreen. At the same time 1 sets up the screen by faking the give & go. If the defender of 1 doesn't do a step towards the ball 1 takes the give & go. 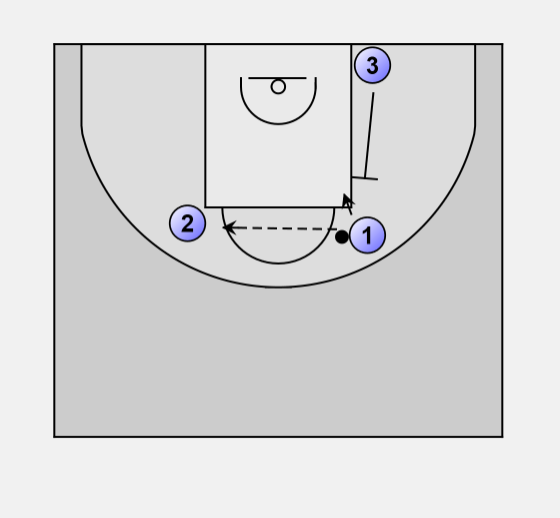 1 uses the screen of 3 to get free under the basket for the pass from 2 and the lay-up (dunk). If the defender of 1 goes to the middle of the bucket, making the pass difficult, 1 should go to the corner of the court for a skip pass of 2 and a (3 point) shot from the side line. 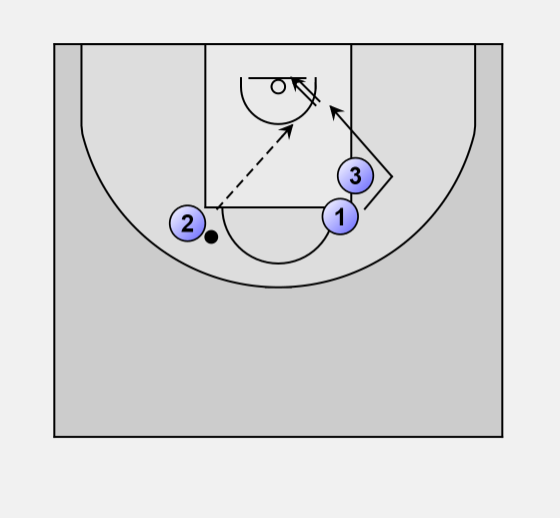 3 rolls, after the screen, first towards 2 (the ball) and then the basket.